I’ll soon be heading off on a Research Adventure, so I might be quiet for a while … but please feel free to continue commenting among yourselves or getting in touch with me. It sometimes takes a little while for me to get back to you, but know that I read and appreciate every email! I’d like to post pictures while I’m on the go, so if you or your parents or siblings follow me on Facebook (which recently changed its algorithms), you may want to let them know how to tweak a setting to be sure you don’t miss any of the action. 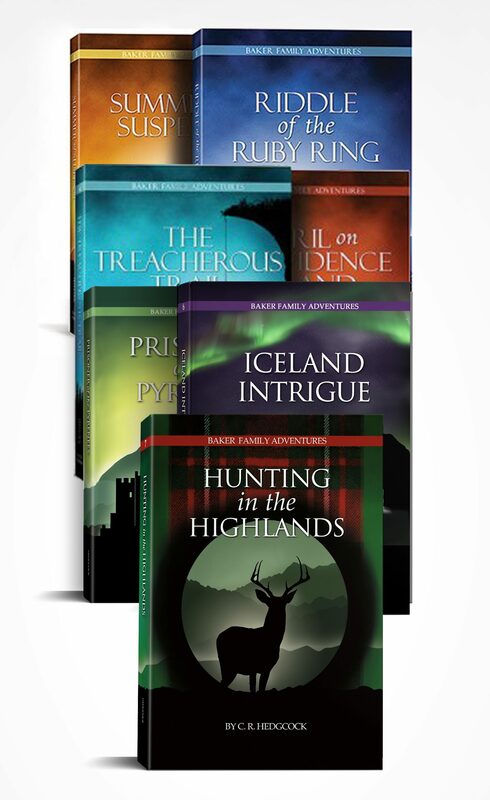 In celebration of adventures, Iceland Intrigue is on promotion! That’s right — the book I traveled to Iceland to research is down to $2.99 (or £2.50 in the UK) on Kindle. Thanks to all of you whose support meant I could go over there and bring back memories to put in a book. If you haven’t yet snatched up a Kindle copy (or your friends, grandparents, neighbors, friendly grocery-store clerk), now is your chance! Did you know about the National Day of Prayer in Britain on the 26th May 1940? I knew about the British Army being trapped at Dunkirk and about the amazing events that unfolded to turn the tide of World War II … but I wasn’t really aware of the National Day of Prayer that was called by none other than George VI. Even the king of England publicly acknowledged Britain’s need of God’s help! I had the opportunity to help a little bit on the script of this short documentary about what really happened at Dunkirk. If you enjoy history, you might enjoy this! We will definitely miss you but I’m super excited for book 8 and I hope you have fun. Oops, I didn’t mean for that to post. My secret is a grammar program. Yep. Works great for the free program. I know Premium is expensive so I won’t use it until I edit books. It is a good editor for books at least before a professional. I will have to look into it! Aw, I will miss you! We will miss you! But have fun on your trip! Is it for another baker book? I am on YWW and I watched your interview, it was great! I’ll miss you, and I hope you learn all you need to for whatever you are researching! I can’t wait to know where you are going! It has to be somewhere interesting! Does this mean another book?! We’ll miss you, but hope you get a lot of great memories! ( I loved your interview with Brett Harris, So fascinating! And I read the guidebook as well. Praying for you as you go on a new adventure! Isabelle; are you on YWW? Yeah, she is! And so am I! Yes! I have a username though. I go by Portia. 😉 Are you? Parker, the interview is part of the Young Writer’s Workshop. If you sign up next time it is open, though, I am sure it will still be there. Oh, okay. I’m going to sign up if possible when you are next allowed. Dear C.R. Hedgcock, I love Hunting in the Highlands. And I can’t wait for your next book. I enjoyed every part of it and especially the parts with Tom. I was curious about what happened to Miss Verton and Herr Clause? And will Miss Verton get the note from her parents in the next book? I was just curious. Thank you for your wonderful books. I enjoy them all! Love Alyssa Plocharczyk. Yes! My whole family can’t wait. We have been reading the series out loud. We are on book 5. I love to read them again and again. They are so good. Thank you so much, everyone! 🙂 I will try to keep you updated with photos as I go along. A quick question — I know that most of you aren’t on Facebook; is there another social media platform that you’re on, or is this website the best way to keep you in the loop? Yes, this website is best! Thank you! Yes, this website would be easier for me to see! Thanks so much! I think the website is best for me. I use this website and email. My mom has Instagram though. Yeah. This website is good for me too. Or email. This or Instagram is the best social media platform for me. If anyone is alive any more I’m reminding y’all that you need to give Miss Hedgcock a 5-star review of EVERY book. Please do it. It will help her with selling more. I’m only too happy to do it for my favorite author. Ooh, I like seeing you fan over Miss Hedgcock’s books!! Yes, mine too!! I’m the craziest person out there about her!!! Yes, she was my very inspiration!!! I have to agree! That was really neat! !